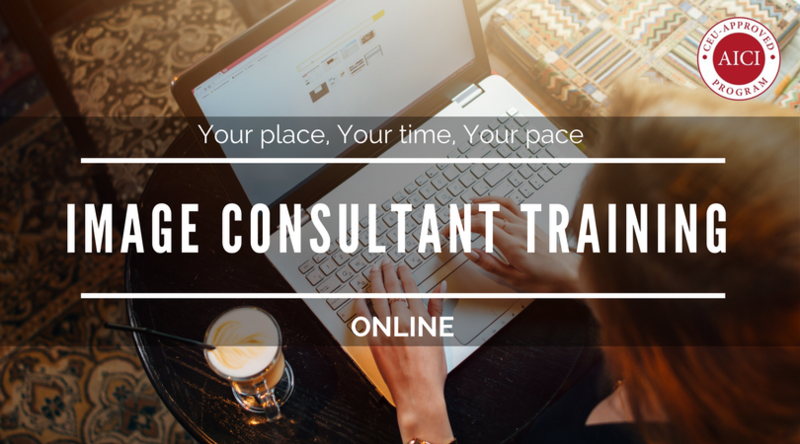 Being unique among image consultant training companies is what attracts potential image consultants from all over the world to our Mastering the Basics of Image Consultancy course. 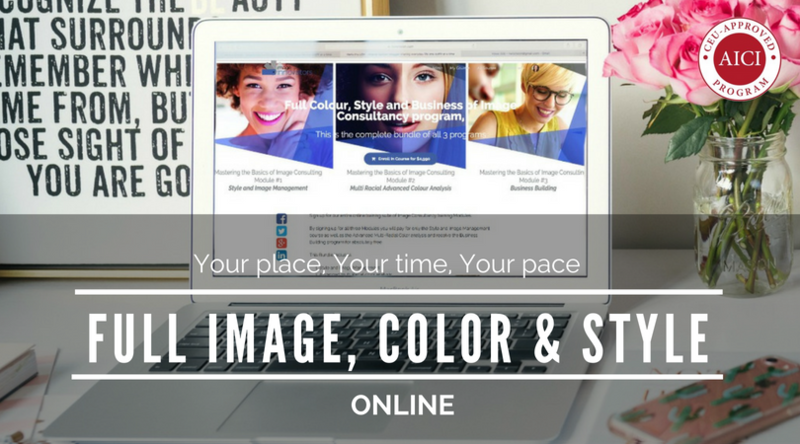 We offer both world class, internationally certified image consultant training as well as innovative and up-to-date products and resources. 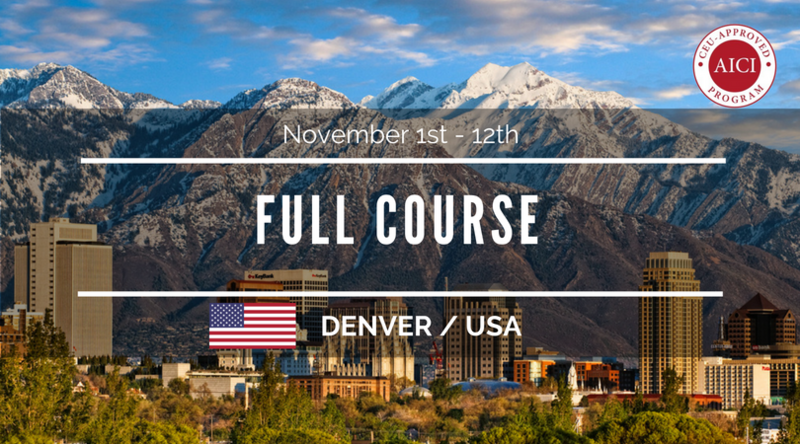 A 12 day course that and carries a total of 8.4 CEU’s as accredited by The Association of Image Consultants International. Access to online course (12 mths access) to recap and learn additional topics. 12 month membership to Image Innovators with access to many tools and resources including our acclaimed style programs: My Private Stylist and Men of Style. An invitation to join our closed Facebook group. 12 month graduate course emailed to you weekly. 12 months of ongoing support. 36 Free licence keys for you to use with your clients. Module 1: Style and Image Management, 64 lessons. Module 2: Advanced Colour Analysis, 35 lessons. Module 3: Business Building for Image Consultants, 9 lessons. Start Right Now. Your future in Style can commence today. Don’t wait for a better time than now. 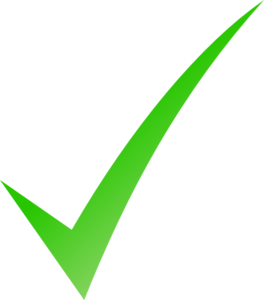 each lesson comes complete with notes, a video and a quiz to support your learning. Enrol in the full course and get Module 3 for FREE. Register now by emailing lula@styleinnovators.com to hold your place in this program. Click Here for full course details and to enrol. Module 1: Style and Image Management, 64 lessons. Receive your kit of measuring tools when you enrol. Module 2: Advanced Colour Analysis, 35 lessons. Receive your own mini assessing cards, 4 different sets of grouping cards and colour selector sheets when you enrol.